In the last few years, blockchain and other new technologies have been created to change the future of finance, money and more. The blockchain is a new concept that is making news everywhere, it is not only a technology that supports the function of digital currencies like Ether, Ripple, or Bitcoin-it has also the potential to revolutionize every sector. Blockchain enables users to buy bitcoin in a swift, easy way. This new technology will bring in the necessary changes in ways that data is stored, transferred around the globe and marketplaces in days to come. Many types of businesses and fields, including healthcare, the financial market, and technologies are looking into the blockchain technology. Blockchain technology is effective for preventing fraud; ensures cost savings through options and faster transmission confirmations. According to a recent research, blockchain platforms will store over 10% global GDP in the next few years. The equity index provider, NASDAQ, is among the top financial companies harnessing the power of blockchain technology. With the use of this new technology, investors from around the world can securely and easily navigate through financial markets. 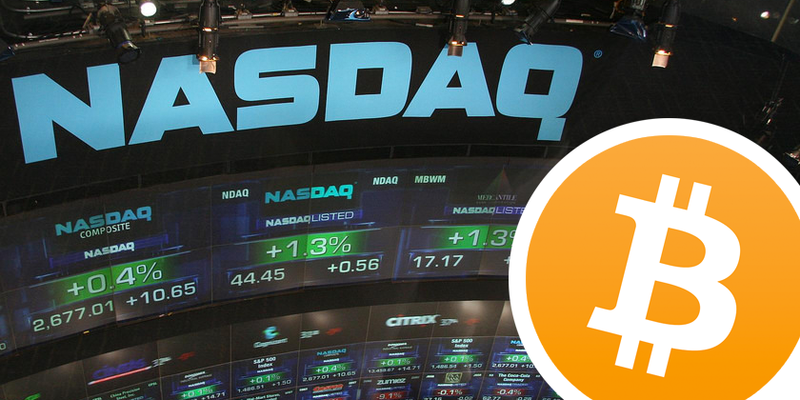 Most investors are aware of Nasdaq and its investing practices, but recently, it has become an industry leader in developing advanced and innovative security transaction methods. It was the first of its kind to incorporate the use of Blockchain technology. Since its inception, IBM has been continuously developing technologies that are used throughout industries, businesses, and with the public. Currently, IBM is harnessing new options with the blockchain technology for over 400 different clients in various industries. IBM’s blockchain platform is already making news and is creating new facilities and features. This new technology will help individuals and organizations to track and record all types of complex transactions and save data securely over the internet. IBM blockchain technology will decrease financial service disputes by a considerable amount in the future. The blockchain platform comes with the potential to reduce costs for industries such as healthcare, finance, government, and many more industries, creating a new revenue stream. All these improvements will ensure higher earnings. Hitachi is known for its enterprise solutions and bullet trains, and one of the biggest firms that are investing in Blockchain technology, today. The multinational company has been doing thorough research on Blockchain technology for a long time. The business is continuously working on ways to broaden the application of Blockchain technology. As of now, the technology firm is intending to establish a special financial process, following which they will expand across diverse industries. Hitachi is committed to development and research efforts to introduce more use of Blockchain technology. Blockchain technologies are now being used by many major businesses around the world. Daimler AG is no different. Daimler launched an €100 million loan instrument using this new technology. The specialty of this new technology is that it will complete transactions starting from origination, execution of loan to the confirmation of repayments and interest payments, all carried out through one blockchain technology. The firm is also planning to implement the technology in various business practices, as well as, auto financing. Hive Blockchain technology is another top stock pick. This popular Canadian technology firm is looking to bridge the gap between capital markets and blockchain innovation, through new techniques. Blockchain technology is used to validate cryptocurrency transactions.